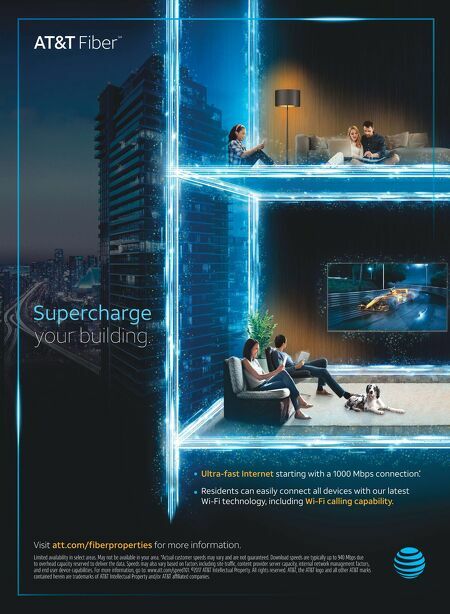 Supercharge your building. ● Ultra-fast Internet starting with a 1000 Mbps connection. * ● Residents can easily connect all devices with our latest Wi-Fi technology, including Wi-Fi calling capability. 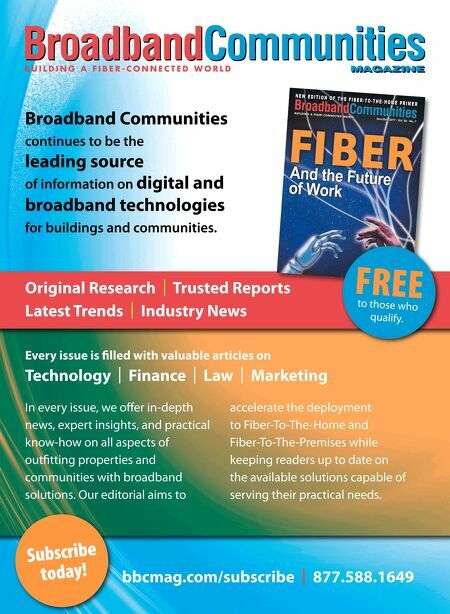 Visit att.com/fiberproperties for more information. Limited availability in select areas. May not be available in your area. *Actual customer speeds may vary and are not guaranteed. Download speeds are typically up to 940 Mbps due to overhead capacity reserved to deliver the data. Speeds may also vary based on factors including site tr ontent provider server capacity, internal network management factors, and end user device capabilities. For more information, go to: www.att.com/speed101. ©2017 AT&T Intellectual Property. All rights reserved. AT&T, the AT&T logo and all other AT&T marks contained herein are trademarks of AT&T Intellectual Property and/or AT& ed companies.